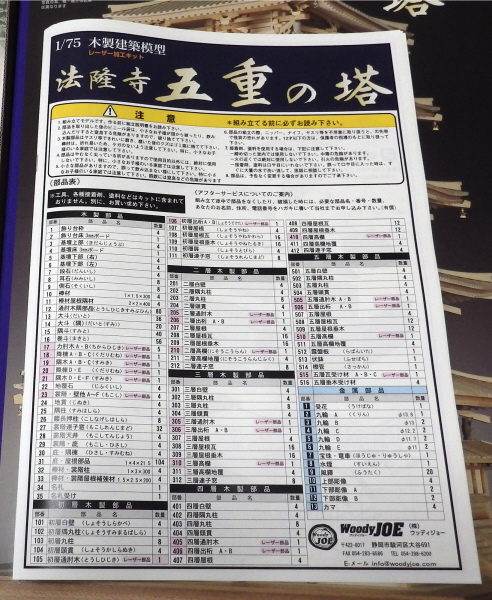 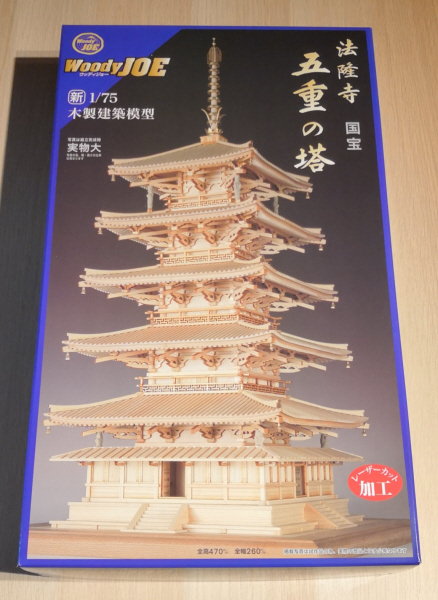 It is founded in 607 AD. 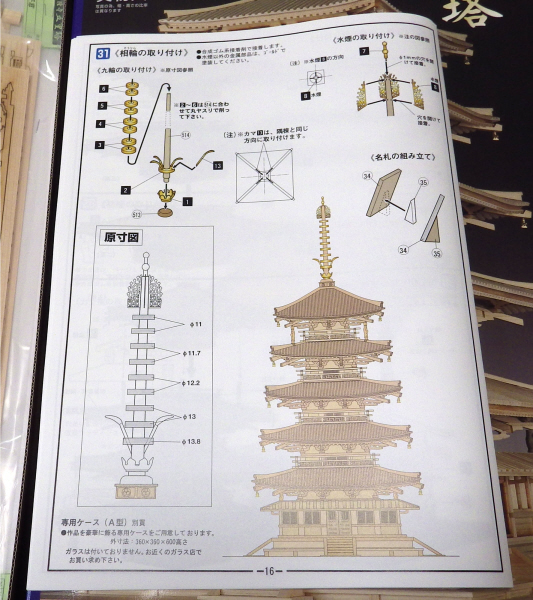 The tower rising above the sky is beautiful and powerful. 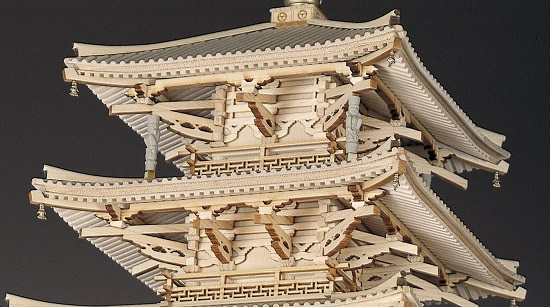 The five castle towers that make up the five-storied pagoda represent ground, water, fire, wind, sky from below. 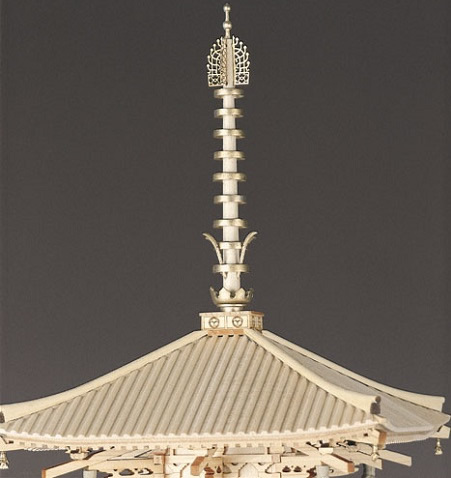 Each of the five layers shows its own world (thought), which represents a Buddhist cosmic view. 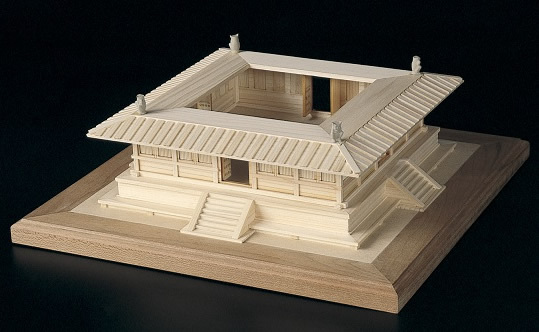 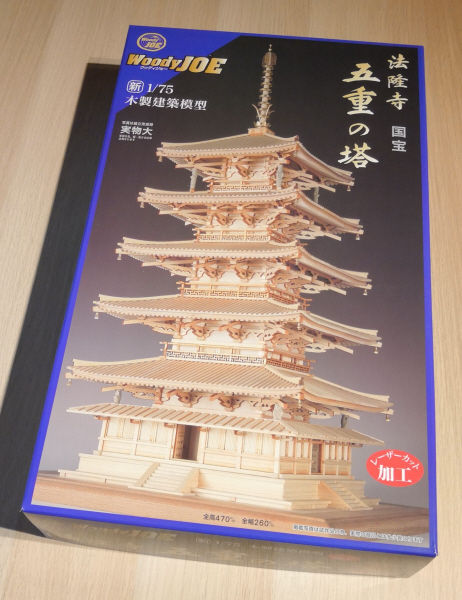 *The elaborateness that equals a large-scale model is achieved by 1/75 reduced scales. 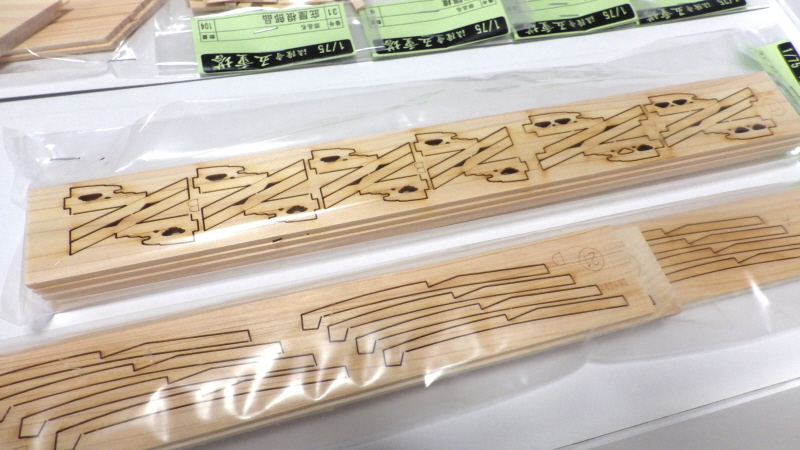 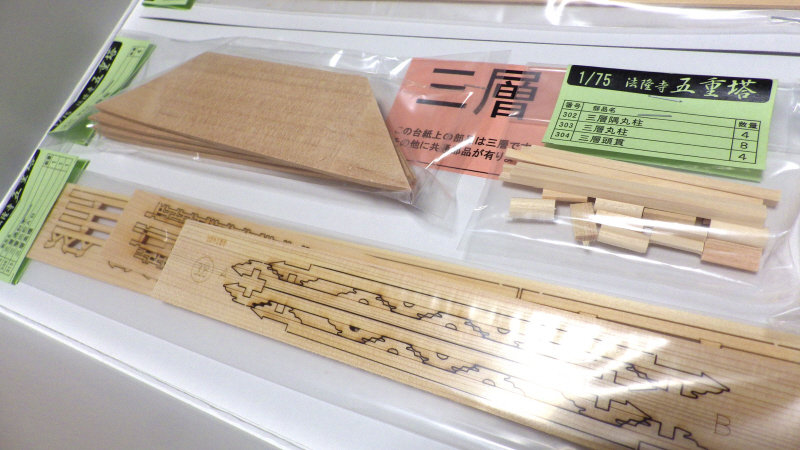 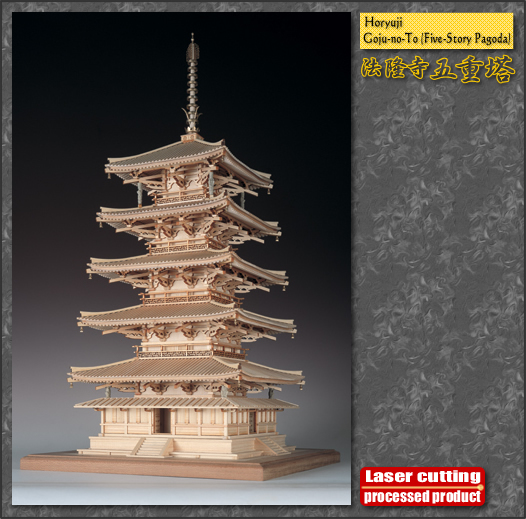 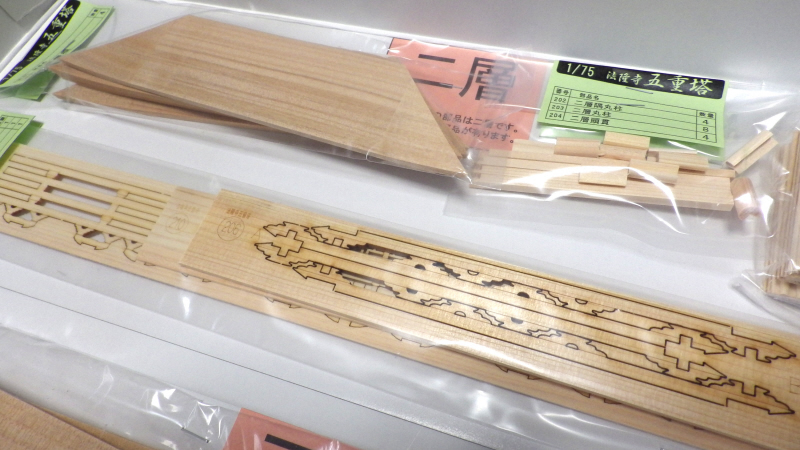 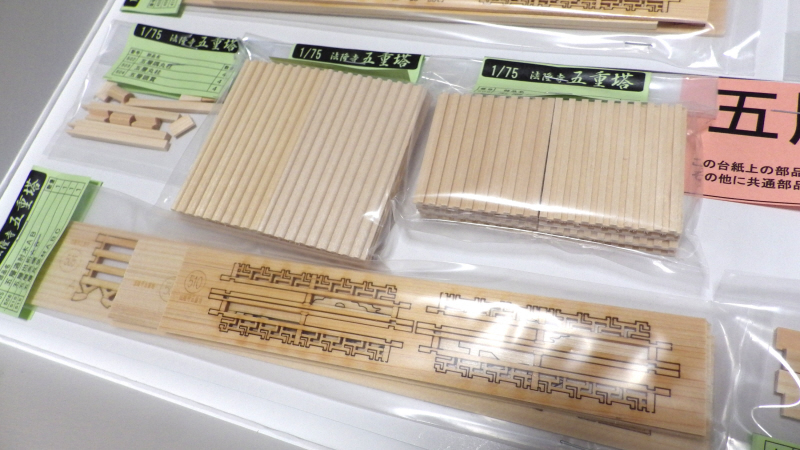 *It is a new design construction model that not is the introduction so far of the laser sculpture machine. 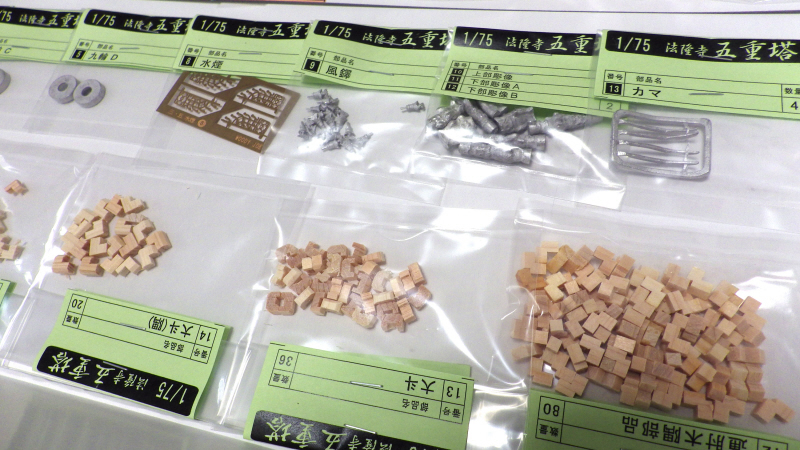 *Each part was processed in precision and it integrated . 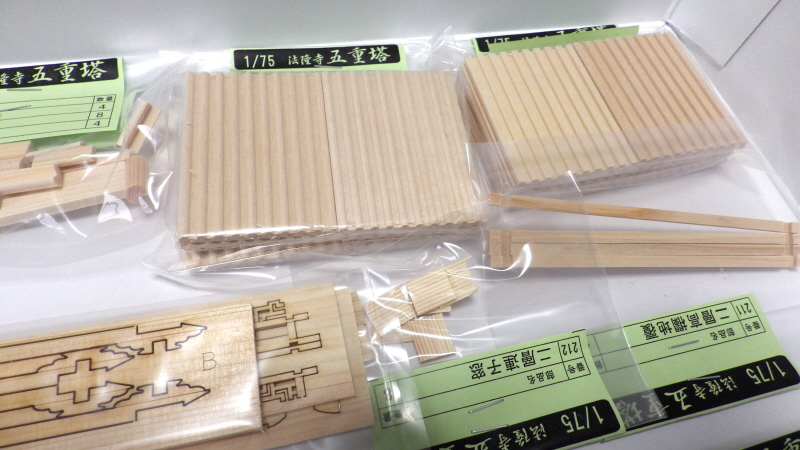 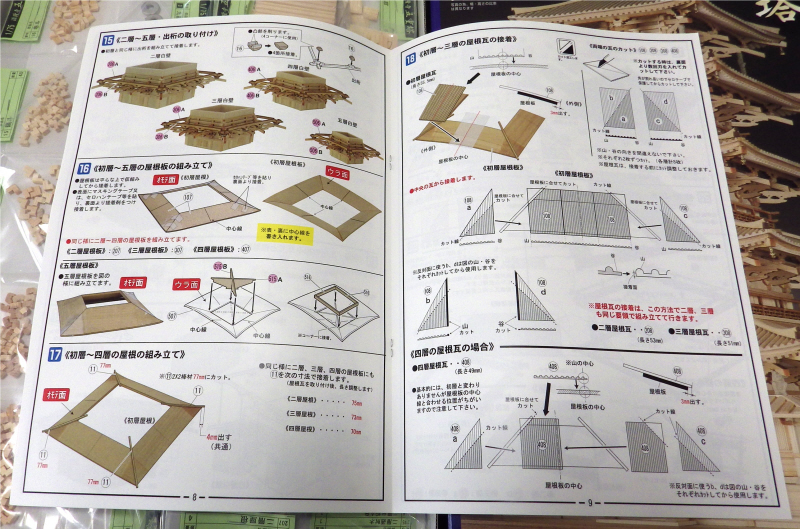 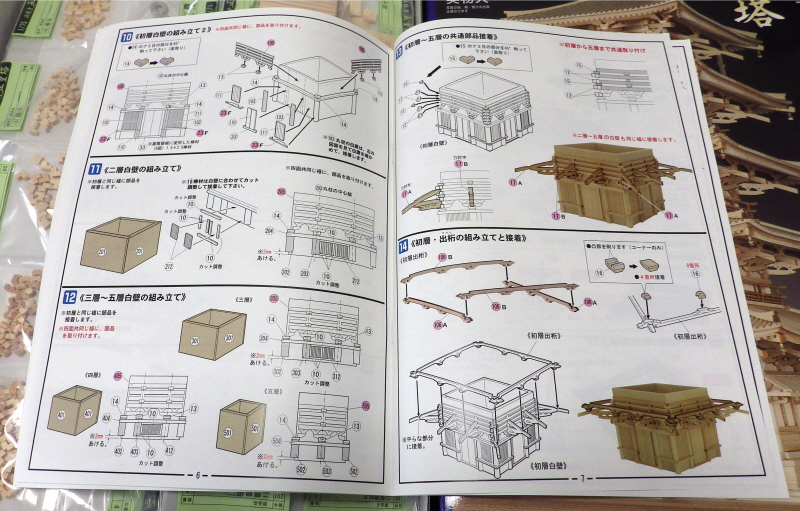 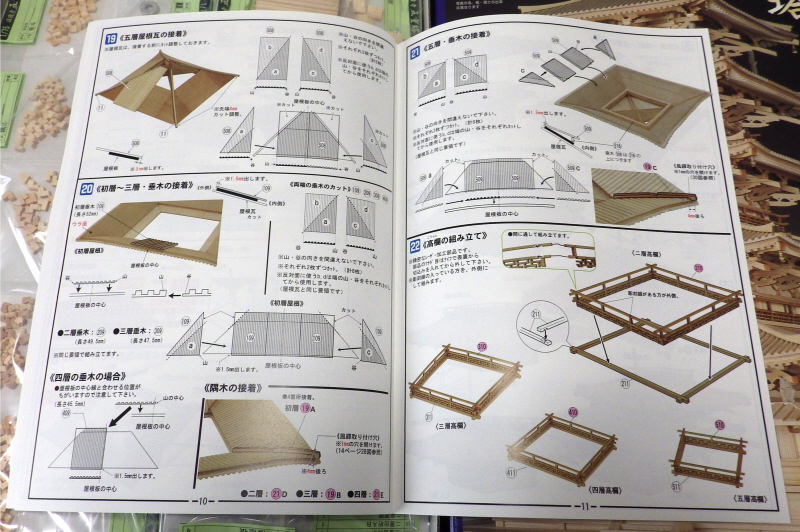 Therefore, it became easy to assemble greatly. 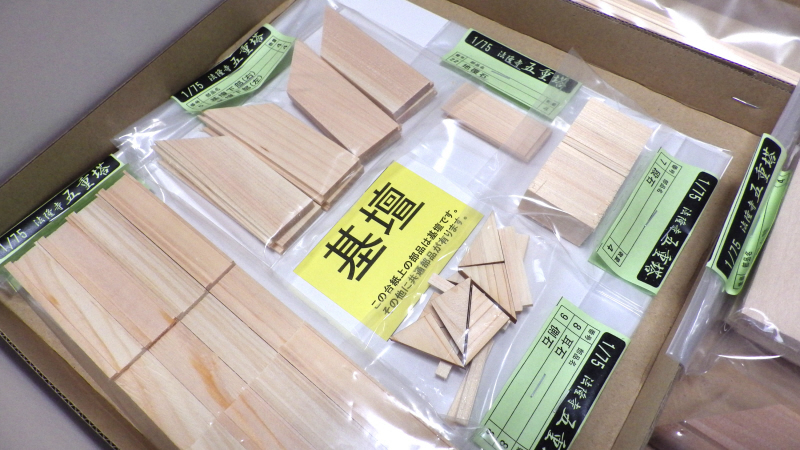 *The price sets the price bought easily in this class. 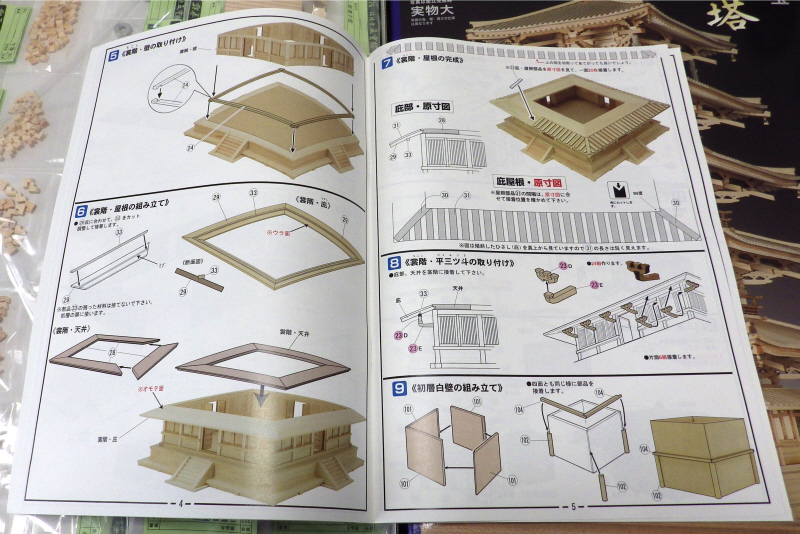 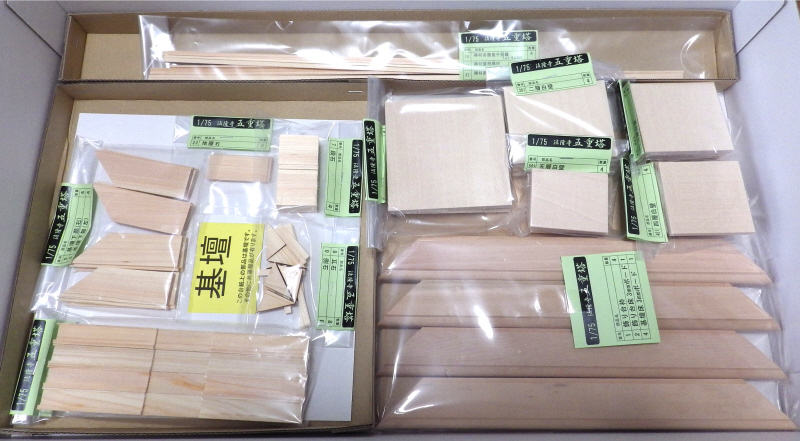 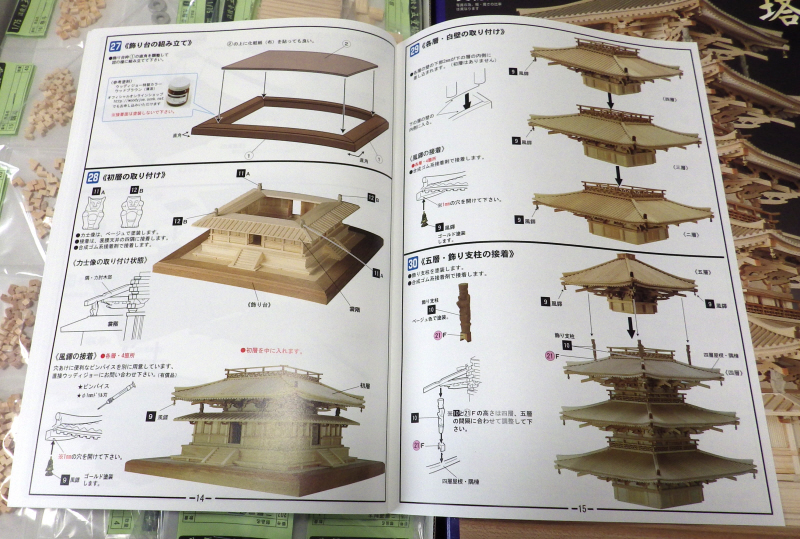 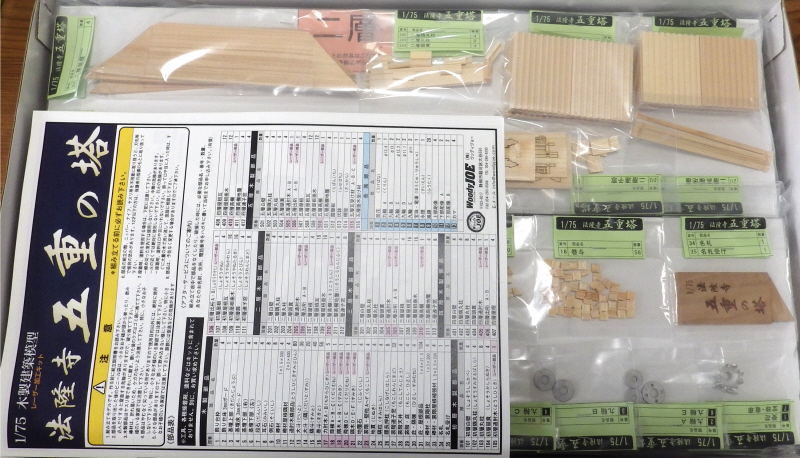 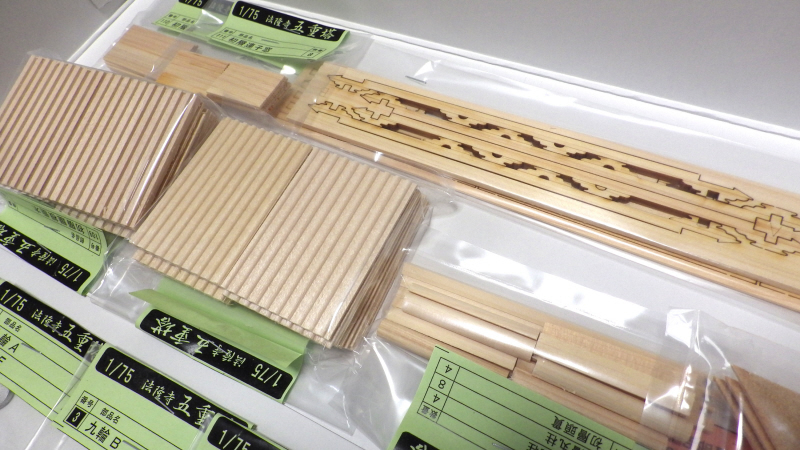 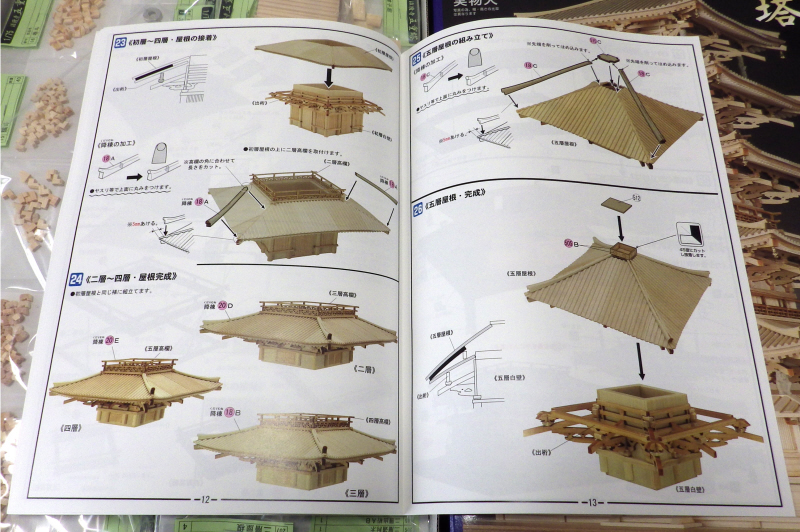 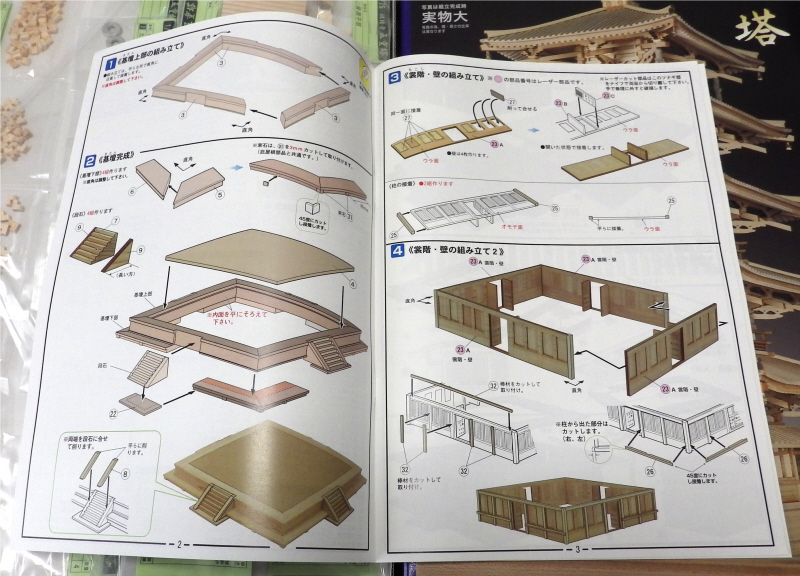 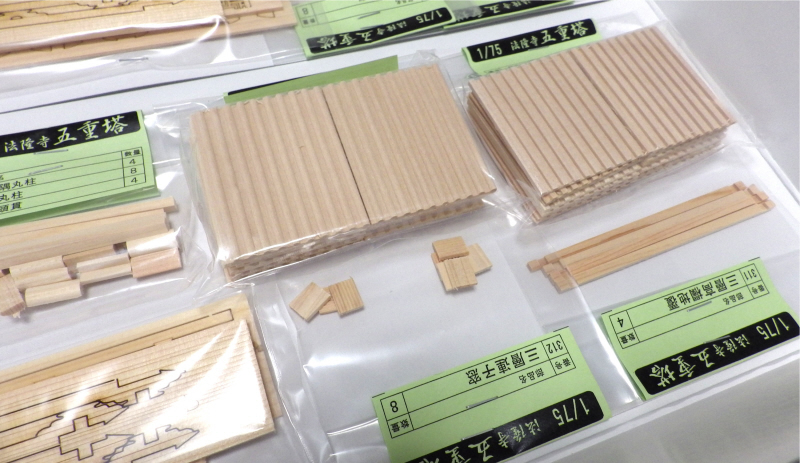 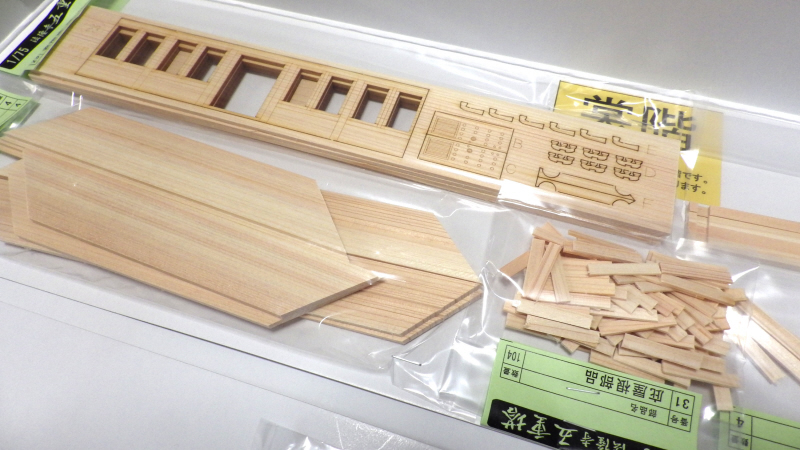 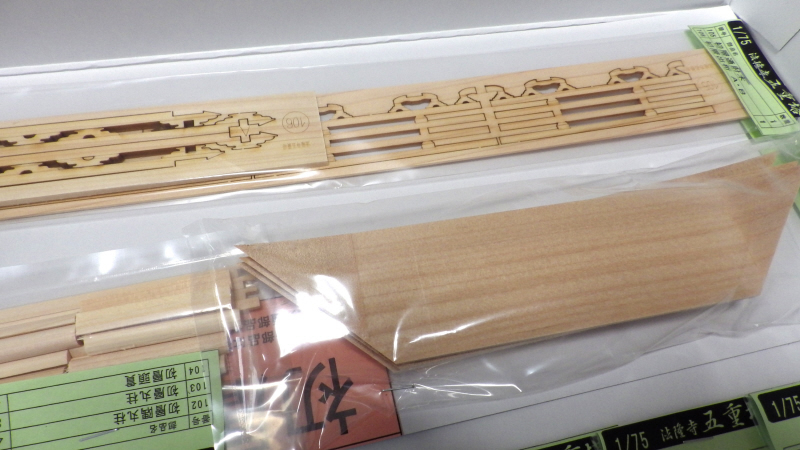 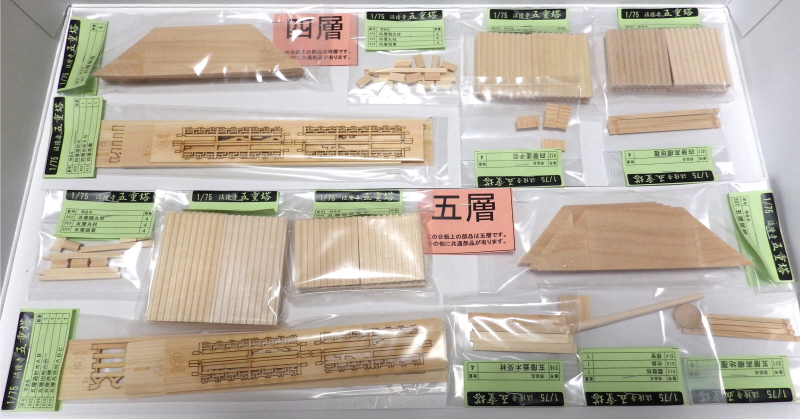 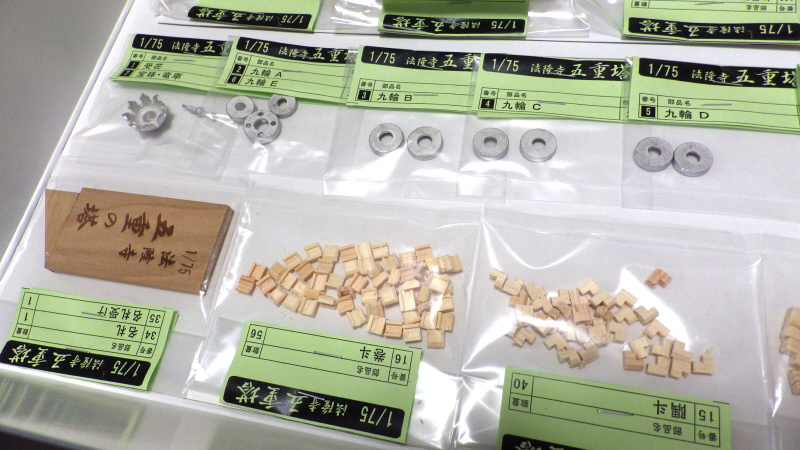 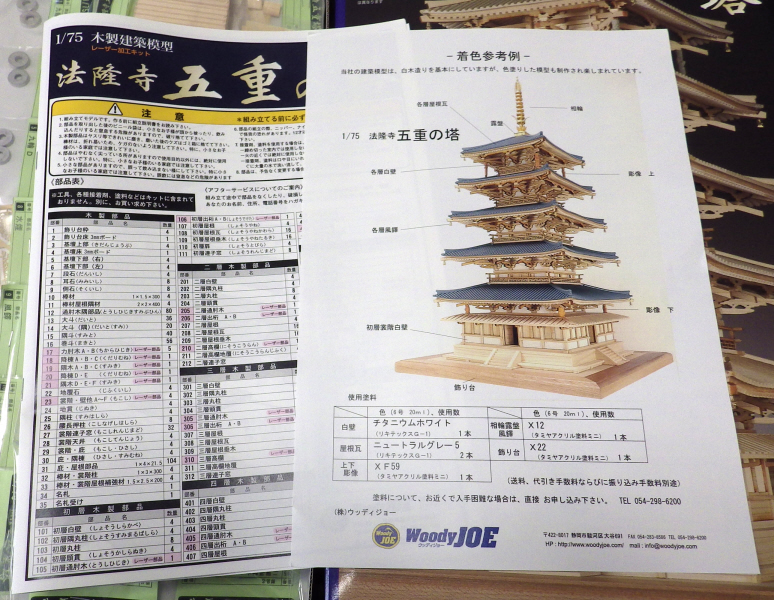 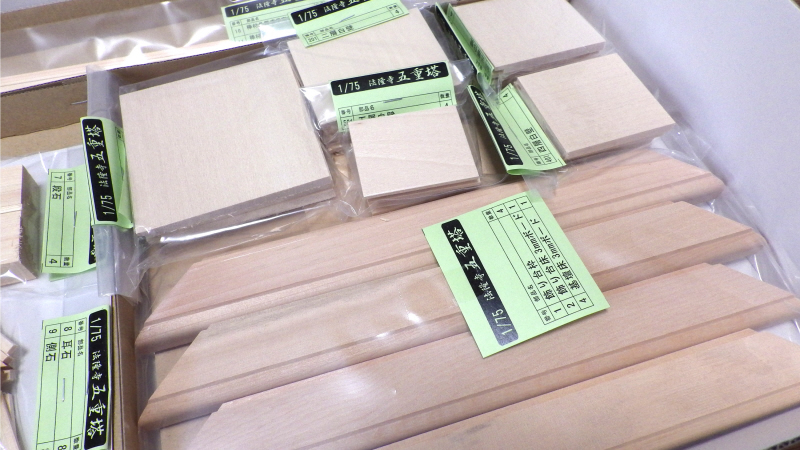 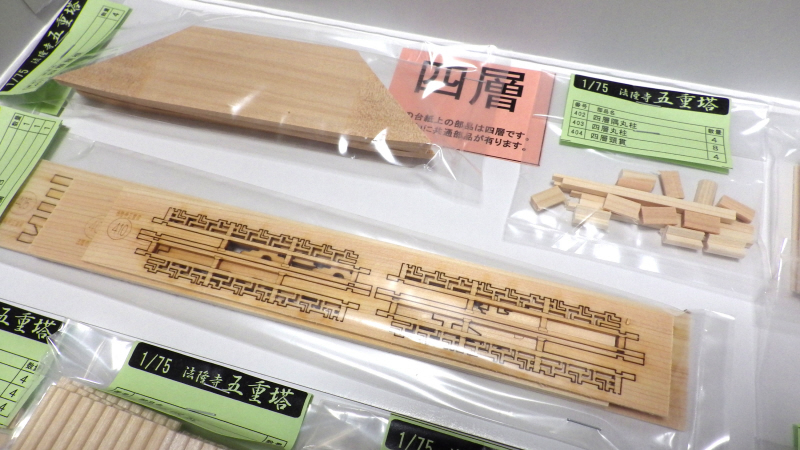 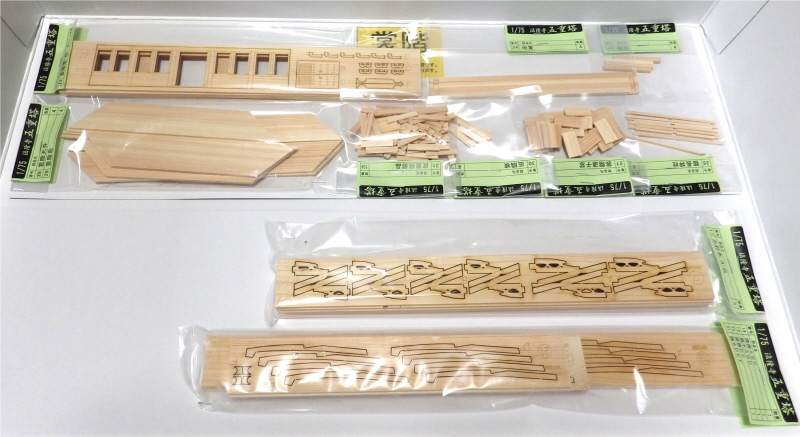 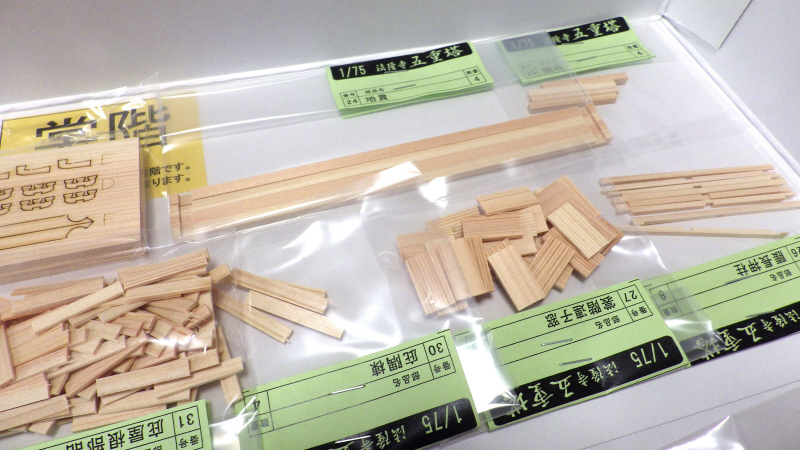 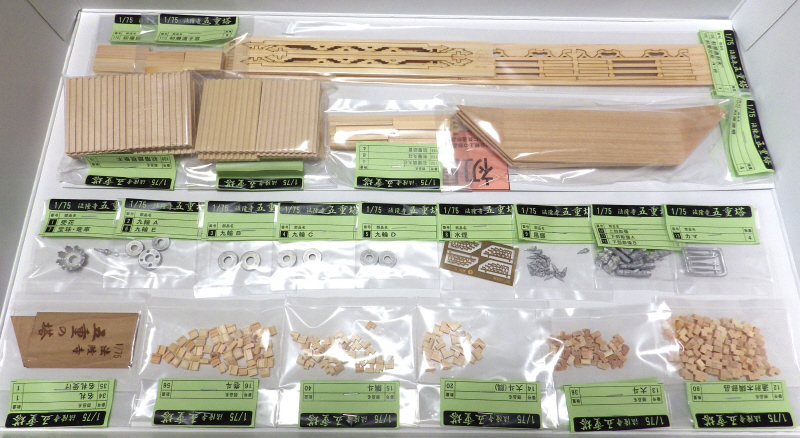 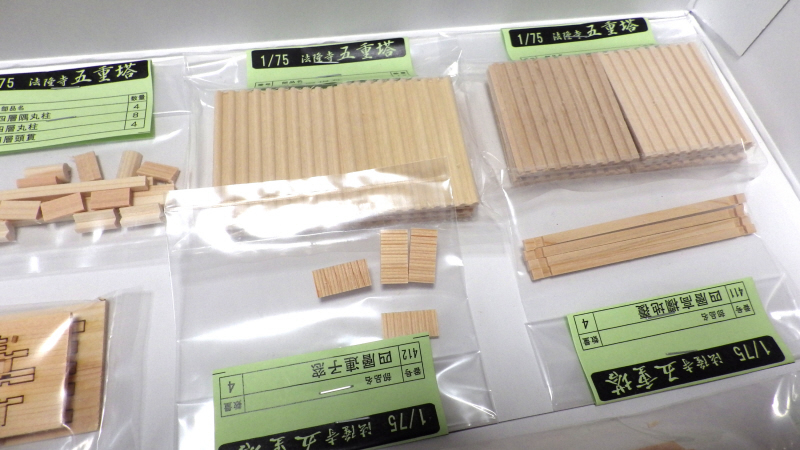 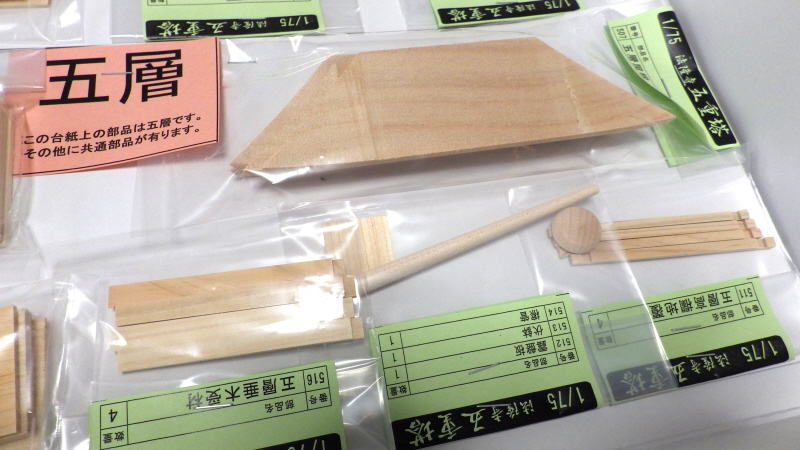 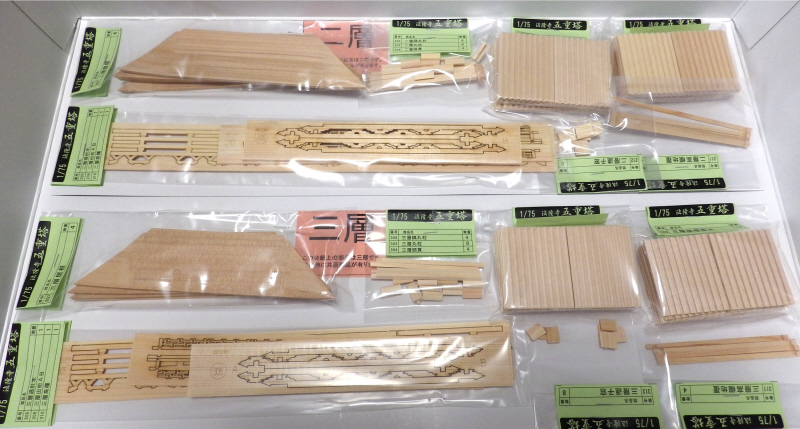 *95 kinds of wooden parts and 14 kind of metallic parts use.